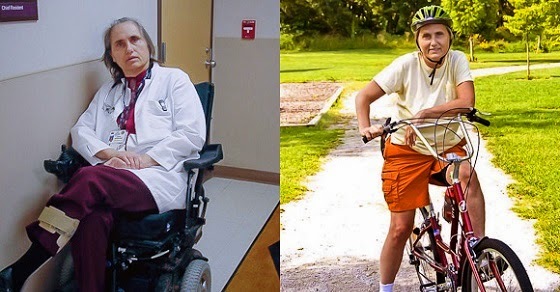 Dr. Terry Wahls gave a now famous TEDx talk in 2011 where she talked about how she had to look beyond conventional medicine to treat her own multiple sclerosis. Prior to that, she was like many other physicians. She diagnosed patients and treated them with prescriptions or referred them out to specialists. In 2000 she was diagnosed with multiple sclerosis and within 3 years she was in a wheelchair. She was once a national Tae Kwon Do champion and losing her mobility was like losing her life. When it looked like she was about to be bed ridden, she took matters into her own hands. She had to look at new research. In doing so she questioned how she was treating her own patients. She studied the latest on autoimmune disease, brain cell biology and functional medicine. She began treating herself with nutrition and had to challenge what even conventional nutrition was saying. She focused on the nutrients her cells needed to heal, and relied on food rather than supplements and pills (which is the current nutritional dogma, that real food is deficient). Within one year she was back to walking. Dr. Wahls recommends nine cups of fruits and vegetables per day: three cups from leafy greens, three cups from sulfur-rich vegetables like cabbage, mushrooms, onions, broccoli and Brussels sprouts, and three cups of brightly colored fruits and veggies like berries, oranges, carrots and beets. She also recommends eating grass-fed meats, wild-caught fish, organ meats, seaweed, and adding exercise, limiting toxin exposure, and managing stress. She writes more on this topic in her book, The Wahls Protocol: How I beat Progressive MS Using Paleo Principles and Functional Medicine.